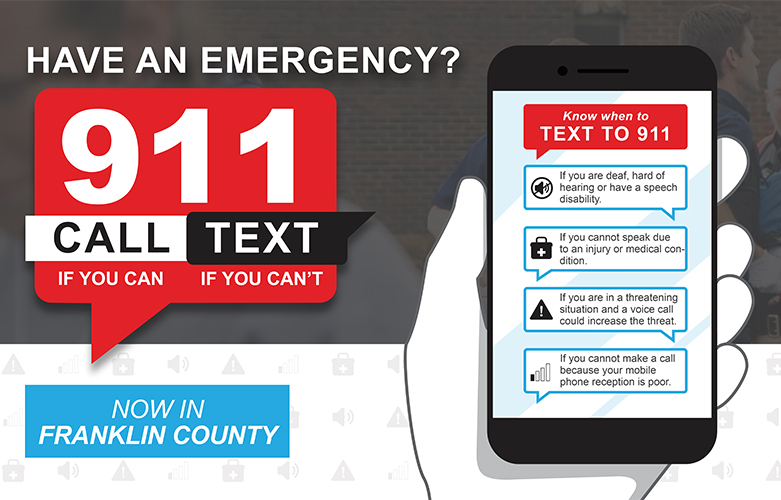 Franklin County residents can now send emergency text messages to 911 dispatchers. Grove City joins public safety partners from throughout the county in supporting this new safety technology. However, officials urge everyone to reserve texting as a last resort. If a person has the choice between calling or texting, please call if you can and text if you can’t. Calling is better than texting because emergency dispatchers can get more immediate answers to questions from callers, listen for distress in voices and learn background information that could assist first responders in a potentially life-threatening emergency. Texting 911 works on cell phones, tablets and other text messaging enabled devices. Always dial 911 if you can. Visit the Text to 911 website for additional information. Download the Text to 911 flyer and Text to 911 fact sheet.